I have a little history with both the author and the narrator of this audiobook. When I was looking for something awesome on which to spend the credit burning a hole in my pocket, I looked at my “five-star” shelf and saw [book:Short Nights of the Shadow Catcher], a Netgalley book which I loved a few years ago. When I did a search on Audible, turns out this, which I’d recently bought in a sale, was the same author. That moved it well up the queue. So, if I didn’t buy it because of the author, why did I? Well, the subject matter is of interest, of course – it’s a kind of a blank spot in my knowledge, except for that other Netgalley book from a few years ago, Sarah Zettel’s [book:Dust Girl] (which was terrifying in places). But mainly it was because of the narrator: Patrick Lawlor, possibly my perfect Puck. I’ll come back to that. This was an extraordinary story. I feel “story” is a perfect word for this, because the whole situation is science fictional in scope – if the “dusters” and “snusters” were in a post-apocalyptic sci-fi novel they would fit right in. It all feels like it can’t possibly be true. It’s hard to wrap my head around a non-fictional world where “black snow” is a thing, people have to daily sweep not only their floor but their table and every other surface in their home, and can’t leave a soup pot uncovered for any time at all. 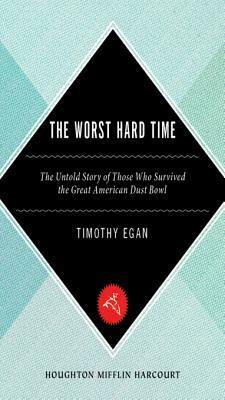 It was all such a perfect setup for perfect misery: terrible hot and dry weather, combined with commodity prices which encouraged more and more agriculture which led to more and more grassland disappearing, plus new technology allowing more efficient farming … And it lasted for agonizing years. My lasting impressions of the people who lived through this horror are two-sided: on one hand, I’m awed by their persistence and fortitude. 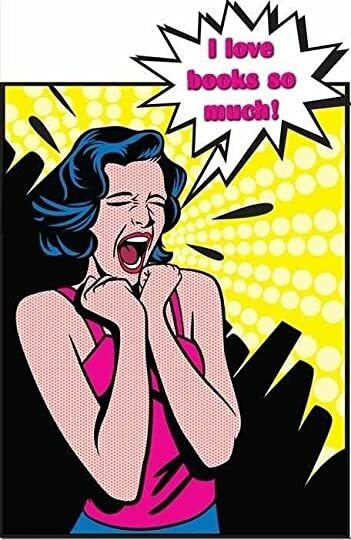 Some went mad – but most just kept trying. And trying. And trying. And that leads me to the other hand: I can’t understand why. Why, why would you stay, and force your family to stay, in a place where it was hazardous to simply breathe the air, where food is becoming harder and harder to get, and where things have worsened past the point where that one good solid rain you long for so would make things better? I understand the investment of time and money, blood and sweat and tears and all, that people put into their farms. If everyone involved had been men or women on their own trying to make a go of it I might adapt. Of course it would be horrible to leave. And many of the places where farmers might have moved were, to put it mildly, unwelcoming. But the place was trying to kill them – and often succeeding. The stories of the children who died because they couldn’t help but inhale sand made me a little angry with those who lingered past what I thought of as the point of sanity. The fact that I became emotionally invested in the story is an indication of how well it was told. The focus is mainly on one small town and its people, with a great deal of reliance on newspapers and personal journals and letters, so that in addition to the massive scale of the disaster – and it was massive – I came away with a clear understanding of the thing on a personal level. The climate of the country (continent?) was altered; a child died. The stock market crashed; a boy persisted in his education despite the elements doing their damnedest to keep him from attending school. This is how history should be told: it affects a nation, and it affects the individuals who make up the nation. Story time, children – pull up a cushion and settle down… Or, you know, skip the rest if you aren’t interested. I’ll understand. Long long ago, in a shire just far enough away, I went to the New York Renaissance Faire. Back then, when it was awesome, the Faire featured a full-length Shakespeare play every year, devoting three hours on their Globe Stage each day to its most appropriate use. The first time I saw one (ah – it was 1993), they did A Midsummer Night’s Dream, and it was … perfect. Seriously. The stage was bare; the props were minimal; music was provided by an appropriately Renaissance-instrumented little band of players; costume and makeup were just enough. And the cast was beautiful. It was the funniest thing I’d seen in years, and set a ridiculously high bar for all subsequent Shakespeare productions, much less productions of The Dream. Did we see it twice? I think we did. I confess: I taped it (audio only) on my little portable recorder, which was against the rules, but I listened to that thing several times, and it made me very happy, and the statute of limitation has to be up by now, right? … I wonder if the tape’s survived …Yes! It did! I found it! Woot. Ahem. Anyway. For years afterward, all my friend or I had to say to crack each other up was “Wall”, because he was hilarious. Whenever I see a production of MN’sD, as Helena chases her man about, I hear that actress’s “Demeeetriuuuuusssss!” And the speech that sticks hardest in my mind (I can still hear it) is Puck’s “Up and down, up and down, I will lead them up and down”, where he goes from being the merry wanderer to … a little scary. And amazing. Puck was played by Patrick Lawlor. I make it a point to be loyal to people who have given me joy. Patrick Lawlor was part of one of the best Shakespeare productions I’ve seen in my life, so I was ridiculously excited when I discovered he’s an audiobook narrator. This is where, if I used gifs, I’d insert that one of the cat with “grabby hands”. It’s lovely when loyalty pays off. 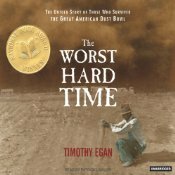 This entry was posted in books, history and tagged Dust Bowl, history, non-fiction, Patrick Lawlor, The Worst Hard Time, Timothy Egan. Bookmark the permalink.